This creamy cornbread pudding is made from scratch requiring minimal effort and only a short amount of time to make. 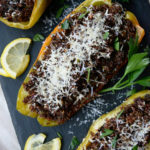 It’s a classic dish that never fades out of style and is perfect all year round. Pardon me while I do my absolute best worst impression of a Voltaire drunk upon Senecan Cynicism, but this is what went through my mind as I prepared today’s recipe. The idea of ‘slowing down’ is seemingly antithetical to modern life. We are constantly in pursuit of speed, of ‘more’ illusory activity, of ever greater quantities of ‘electronic circuses’ as we glut upon the ‘Bread of Likes,’ as if we were plugged into a dystopic ‘Roman Matrix,’ all whilst willingly starving upon a diet of chronically isolating ‘Social Media.’ Indeed, the whole of our digital existence seems founded irreparably upon the premise of racing towards cyber-nothingness. ‘Life Experiences’ have been replaced by vicarious living through staged ‘Social Stories,’ while ‘Social Grace’ or ‘Standing’ has become a competition for ‘smashed like buttons,’ all while we strive to accumulate ‘Friends’ we simply do not know as if they were trophies upon a digital shelf of meaningless electronic trinkets. And so, while I would like to implore my readers to try and ‘slow down,’ or to try and ‘disconnect,’ to do so is to deny the very nature of modern life. It is a near impossibility. And so, instead, I would invite you to merely ‘imagine’ slowing down, to imagine a life lived at the pace of ‘Flesh and Spirit,’ as opposed to what we have today. Our Cornbread Pudding is one of those items. 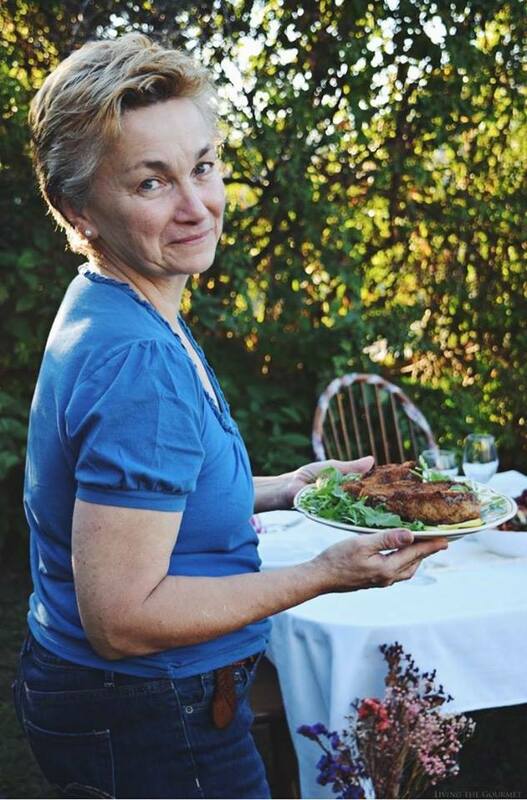 It’s the sort of recipe that you want to ‘slow down’ with, whose hardy texture, ‘homey’ seasoning, an invitation to ‘soulful’ eating is nigh irresistible and undeniable. Today’s recipe is completely from scratch. 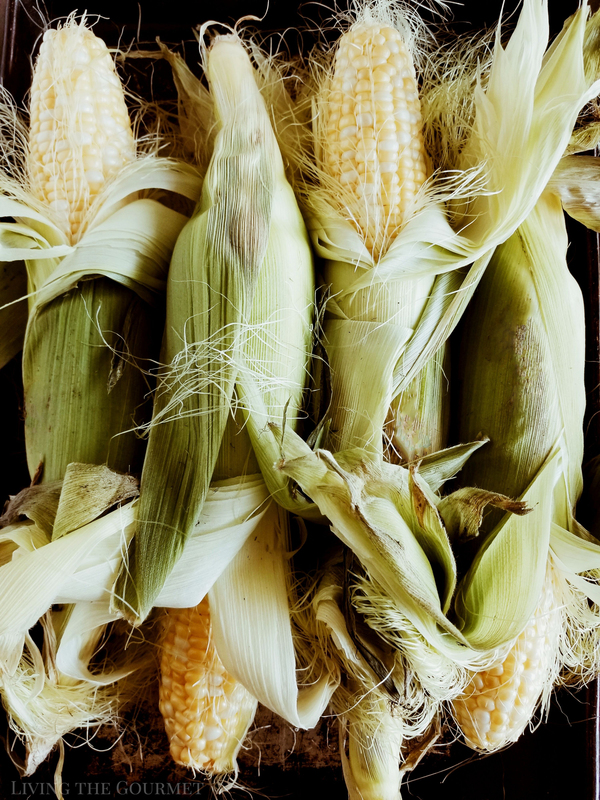 No creamed corn with a year-long shelf life, unnatural additives, etc…you get the picture. We’re using fresh, locally grown corn, full-fat wholesome cream, a bit of sour cream as well for good measure, Parmesan cheese, homemade breadcrumbs, and a simple seasoning base. Sounds like a lot, but it’s a simple recipe, rich and full of that full flavor we all love. I baked mine in a skillet, then finished it off with a drizzle of honey before serving. Cube half a loaf of bread and lay out evenly on a baking sheet. Drizzle with olive oil and sprinkle with salt. 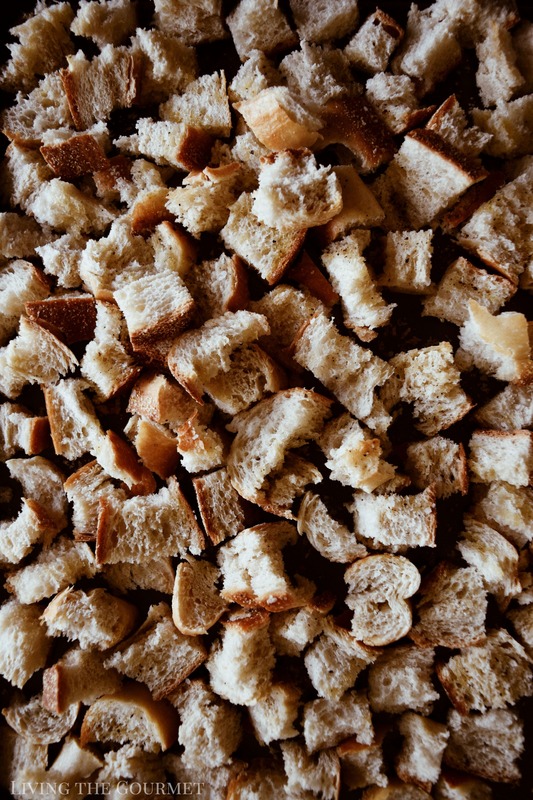 Bake for about 8-10 minutes until the bread cubes are crispy and slightly golden. In a large bowl, whisk together cornmeal, baking powder, garlic powder, salt and pepper. Set aside. In the medium-sized cast iron pan, melt butter, and sweat the chopped onion. Turn the heat off and set aside. In another large bowl whisk eggs, cream and sour cream until well combined. Add the sauteed onion and cornmeal mix. Next fold in the toasted bread and the fresh corn. 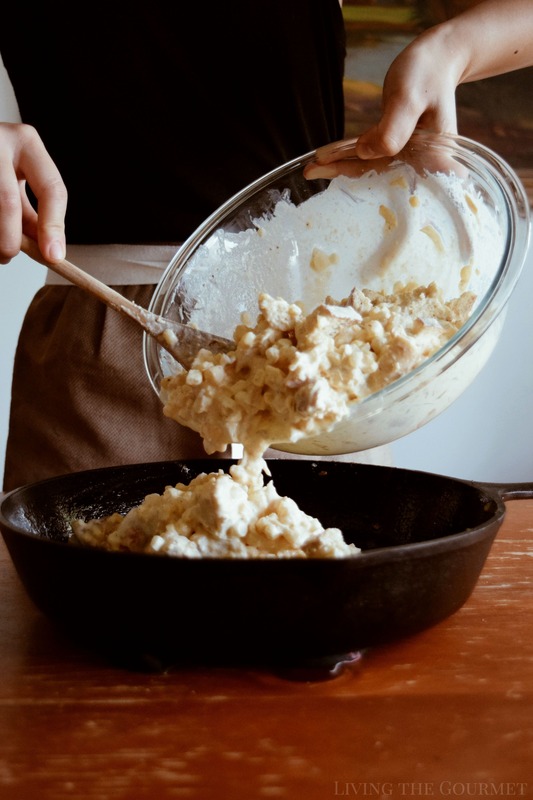 Return the mixture to the cast iron pan, making sure to butter the cast iron well beforehand. Bake for 20-25 minutes or until the it has set and is golden around the edges. Serve while warm with honey if desired. Now, ‘slow down’ and enjoy with love, friends. Have never had anything like this...looks very delicious. I'm alllll about the holiday sides and this one looks like it needs be made asap! Nice touch with the cornbread twist - love it! What a delicious fall side dish for turkey! I know this must be over the top fabulous especially since you made this Catherine! 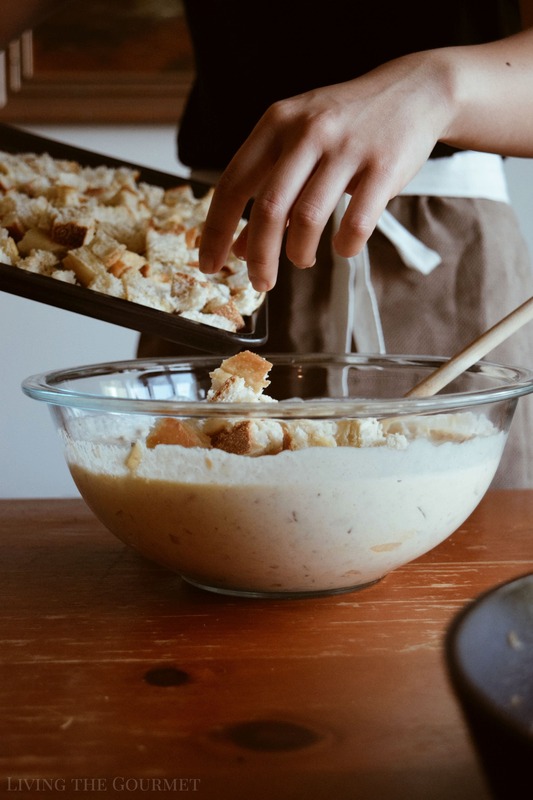 I grew up with my Mom making bread pudding often. I've never tried cornbread pudding, I bet it has an interesting flavor. 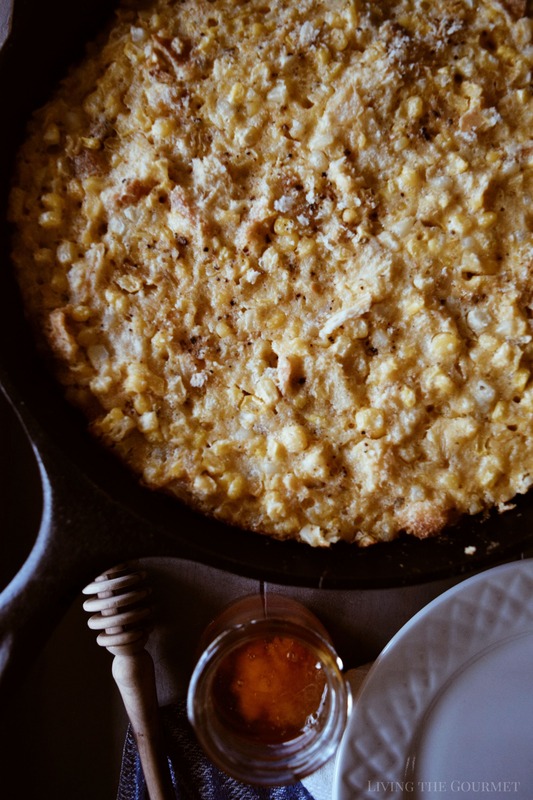 This corn pudding really looks delicious !! This looks like some serious comfort food. I'd eat that up with a spoon!! So glad I found t his recipe! It looks just like what my fiance's family makes at holidays and I LOVE it! Can't wait to make it myself! I've never had cornbread pudding, this sounds delicious though. Thank you or sharing, I'll have to add this to our meal plan. Usually corn bread pudding affects me like traditional potato salad -- I can take it or leave it. But this cornbread pudding is no mushy ordinary pudding. Nope -- I would definitely take a big spoonful of this and put it on my plate. Great recipe, Catherine. I'm pinning. How did I not know this was a thing?! I honestly can say I have never heard of it, but in Canada our sides tend to be a little different for Turkey Day!!! Sounds delish to me! I love the sound of this. 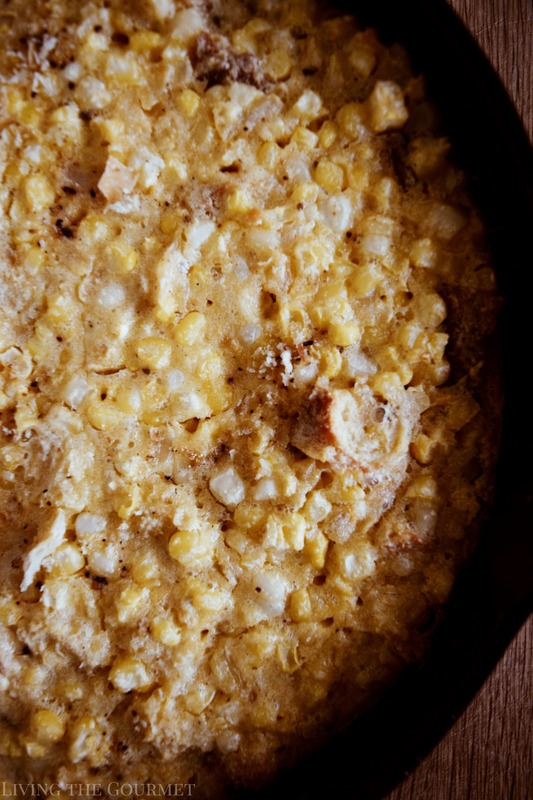 We love corn in our home so this might just be the perfect stuffing for us to make. Love how simple and easy this is too. Saving for later. This looks like the perfect holiday side dish. Love all the kernels of corn here. I would use these as a BBQ side too. You can never go wrong with a recipe like this all year long. What an awesome stuffing this would make. 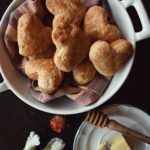 This looks delicious and perfect for a sunday dinner with lots of honey and butter. I'm sold! I don't think cornbread is big in Canada, so I have never tried it! This looks like something I would enjoy though! Looks like a terrific new side dish to try for the holidays!! 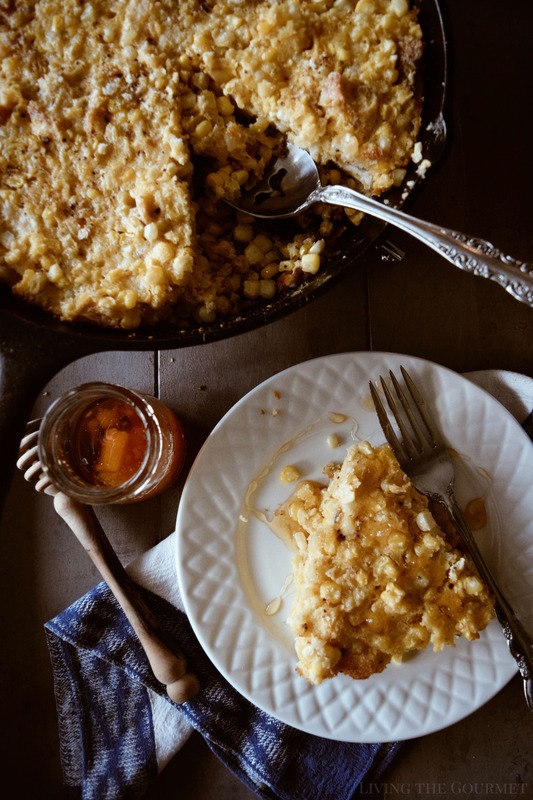 I've never seen cornbread pudding quite like this, but it looks absolutely amazing! I love that you included whole kernels of corn! Cornbread always reminds me the Fall and homemade Chilli) Never had it as a pudding, but looks so delicious! Definitely should try! This looks like a great side and good that I bought some whole corn today so I can try over the weekend! Pinned already. Oh my gosh you are right. Slow doesn’t even exist in our vocabularies anymore!!! 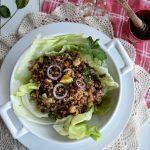 This recipe is going to make my hubby so so soooo happy, thank you! I have never really tried anything like this, but I'm loving the idea of trying it as a new side this Thanksgiving! Such a nice complement to holiday flavors! Wow what a beautiful hearty dish, and yes your right definitely a dish that is most enjoyed when you slow down and when your mind isn't on 10,000 things at once. Thank you so much for sharing this!! Ugh, I love corn so much I'm starting to think I need to join a support group for it. I could eat this for every meal! Interesting. I thought you meant a bread pudding made with cornbread - which I've made often - but this is a bread pudding made with wheat bread and corn! 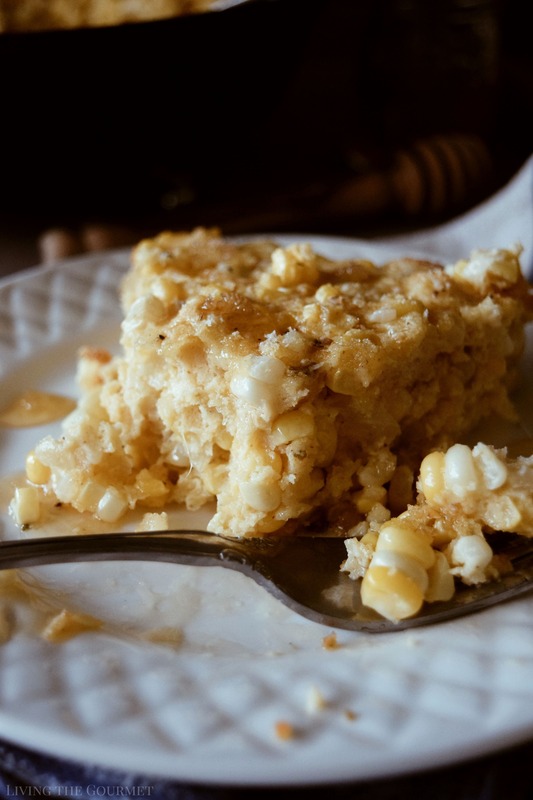 I always liked any kind of bread pudding, savory as well as sweet - but I haven't put corn in it, and clearly I have to! 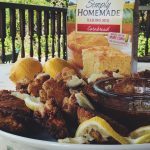 Definitely time to slow down and enjoy some of your delicious Cornbread Pudding with the 'homey' seasoning! 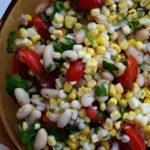 It's a great way to use whole kernels of corn.